Are Religious Utterances Non-Cognitive? Do they mean anything at all? Here's my lecture about Antony Flew's Parable of the Invisible Gardener and some speculations about understand religious utterances as non-cognitive. Craig, Plantinga, and others have said that the Witness of the Holy Spirit is such a powerful, immediate, and veridical feeling, it provides them with an intrinsic defeater defeater to any counter evidence that might come up that suggests that their God view is not correct. I thought and prayed about it all day today, and I am now having my own special witness in my heart that is informing me about a transcendental reality. In fact, my experience of the Witness of the Flying Spaghetti Monster in my heart is so powerful, it gives me an intrinsic defeater defeater defeater to their Jesus beliefs. My point is this. When confronted with the possibility that there could be evidence that would undermine his conclusion that the Christian God exists, or that Jesus Christ is the savior of humanity, William Lane Craig has said that the witness of the Holy Spirit is so powerful and so assuring, and he's so utterly convinced of its veracity, that he has a built in, intrinsic defeater. Prior to even confronting that evidence, Craig has announced that nothing could convince him that he's made a mistake. Furthermore, his access to this special witness of the Holy Spirit is something private that he feels inside his head. How does he know that this special feeling can be trusted? Because it is a very powerful feeling that inspires complete trust in him. How does he know that this feeling is more than just a feeling, it is a reliable indicator of the truth outside of his head? The feeling is a very powerful, assuring feeling that it is accurate about the truth outside of his head. Craig's feeling is the measure of its own reliability, hence "intrinsically justifying" is just a distracting way to say his reasoning is utterly circular. The point of the Flying Spaghetti Monster Witness example is to show just how ludicrous this story is. What's to keep every other believer in other incompatible divine beings from announcing the same? And what standard would those of us who don't have the feeling use to judge between these reports? If I'm having this feeling, and feels like it's authentic, is that sufficient to establish that it is? Of course not. What if the ardent Spaghetti follower announces that his feeling not only informs him about the authenticity of the FSM, but it also informs him, intrinsically, and incorrigibly, that anyone else who claims to have a intrinsically justifying Witness belief in any other God is wrong? The FSM voice in his head tells him, "If anyone says he's got an intrinsic defeater defeater for his belief, don't worry. I'm giving you an intrinsic defeater defeater defeater, so you can rest assured that you're believing in the one true divine being and all of the rest of them are deluded." Craig's witness of the Holy Spirit justification for theism, and his intrinsic defeater defeater response to objections is complete silliness obscured by pseudo-epistemological jargon. I've been developing an online Philosophy of Religion course. This is one of the lecture/videos I created recently for it. A discussion of the problems with Craig's view on faith. I just discovered the work of sociologist Gregory Paul. THEODICY’S PROBLEM: A STATISTICAL LOOK AT THE HOLOCAUST OF THE CHILDREN, AND THE IMPLICATIONS OF NATURAL EVIL FOR THE FREE WILL AND BEST OF ALL WORLDS HYPOTHESES. After devising some estimates of how many people have suffering and died in human history, hHe argues, among other things, that given the rate of deaths and suffering for prenatal children, infants, and children in history, the world could hardly be worse and sustain life at all. It is, apparently, the worst, or nearly the worst, of all possible worlds. Therefore, theism fails. Very interesting paper. Take a look at the rest of their blog too. Lots of interesting stuff there. This is the season, after grades have been submitted, when student emails complaining about grades come in. A particular pattern emerges. I couldn't resist writing it up to use in my Critical Thinking classes. The other obvious application of the Confirmation Bias point is to the way people often think about prayer. Student 1: I just checked my grades for the Spring semester and was surprised to have earned an F grade. I completed the major assignments for the course and did well on the midterm (90%) and well on the final (85%). I know I didn't participate in the online forum as much as was required but I'm still confused about the grade. I took the class material seriously and did my best on every assignment assigned. When we commit confirmation bias, we cherry pick the evidence that suits us. The student actively remembers the good grades, but missed assignments and low scores are forgotten. But clearly, having an accurate and objective grasp of the relevant evidence would serve us well. We don’t want to ignore evidence indicating something negative, disastrous, or dangerous because it doesn’t suit what we want to be true. Imagine if a doctor acquired a skewed view of the evidence concerning a potentially fatal disease this way. Suppose the Secretary of State ignored significant negative indicators in the behavior of an aggressive and hostile foreign country. Suppose a potential employer asked you how you did in your Critical Thinking course in college, and then she checked your transcripts against your distorted report. Suppose you spend thousands of dollars over the years on losing lottery tickets because the occasional wins stick out in your mind so prominently, while the loses are forgotten. Suppose you spend time praying to God frequently, hundreds or thousands of times in your life, and on the rare occasion when something vaguely resembling what you prayed for came true, you count that as an answered prayer, while ignoring the thousands of misses. Suppose you sustain your belief in God for years on the basis of this mistake. The Demise of American Religiousness? But the first article, Intelligence Explosion and Machine Ethics, is embarrassing it's so fun. It's by Luke Muehlhauser and Louie Helm. Muelhlhauser ran the remarkable blog CommonSenseAtheism.com for years before moving over into artificial intelligence research. given was not the one they had chosen. Moreover, the subjects who failed to notice the switch were happy to explain why they preferred the face they had actually rejected moments ago, confabulating reasons like “I like her smile” even though they had originally chosen the photo of a solemn-faced woman (Johansson et al. 2005). hemisphere, which was disconnected from his right hemisphere) that it was because he wanted a beverage from the fridge (Gazzaniga 1992, 124–126). Common sense suggests that we infer others’ desires from their appearance and behavior, but have direct introspective access to our own desires. Cognitive science suggests instead that our knowledge of our own desires is just like our knowledge of others’ desires: inferred and often wrong (Laird 2007). Many of our motivations operate unconsciously. We do not have direct access to them (Wilson 2002; Ferguson, Hassin, and Bargh 2007; Moskowitz, Li, and Kirk 2004), and thus they are difficult to specify. Our lack of introspective access applies not only to our everyday motivations but also to our moral values. Just as the split-brain patient unknowingly invented false reasons for his decision to stand up and walk away, experimental subjects are often unable to correctly identify the causes of their moral judgments. For example, many people believe—as Immanuel Kant did—that rule-based moral thinking is a “rational” process. In contrast, the available neuroscientific and behavioral evidence instead suggests that rule-based moral thinking is a largely emotional process (Cushman, Young, and Greene 2010), and may in most cases amount to little more than a post-hoc rationalization of our emotional reactions to situations (Greene 2008). Sometimes, we reject a claim about reality because it doesn’t fit with other claims about which we have better evidence overall. Your aunt, who has smoked 2 packs of cigarettes a day for 20 years, is diagnosed with lung cancer. She has a job working in a building where there has been construction that has created a lot of dust over the last several weeks and she insists that it is the dust, not the smoking, that is the cause of the cancer. Or perhaps she, like millions of Americans, believes in hexes. And she’s suspicious that her neighbor across the street, with whom she has had a lot of personal friction over many years, has something to do with the cancer. The hateful thoughts radiating from the house across the street have made her sick, she thinks. In either case, the evidence we have for the smoking being the cause of her cancer is better, and with some thought and investigation, we could conclude with confidence that the smoking hypothesis is proven, and the other theories are disproven. Let’s call this Inductive Disproof. A brief note about proof: Many people who haven’t reflected on the topic much have the sense that we should reserve the term “proof” only for those cases where we have the most substantial level of deductive certainty. We can prove, for instance, that 2 + 2 = 4, or that bachelors are unmarried. But we shouldn’t use the term proof for other matters of less confidence. Furthermore, their sense is that we should only use “proof” about indefeasible conclusions, claims that we would not change our minds about under any circumstances. For other matters, like smoking and cancer, the connection between a high calorie diet and obesity, and who won last year’s Superbowl, we should describe the status of our beliefs in some other way. And many of the same people who feel this way about proof have the same impulse about “knowledge.” We only know those things, they say, that we can prove. No other less certain matters should be called knowledge. For a number of reasons, I think it is a mistake to reserve “proof” for only indefeasibly certain matters. First, if we raise the bar on “proof” this high, then there remains little or nothing that we know. On this view, we don’t know that smoking causes cancer, that the sun will rise tomorrow, that the sun rose yesterday, that Obama is the President, that violent crime is on the decline in the United States, that people who have a low fat, high fiber diet with lots of exercise tend to live longer than those without, and so on. Too many things that we comfortably and normally claim to know must now be described in some other artificial manner. Second, we can have our cake and eat it too; we can readily acknowledge that there are things we know and that we have proven, but our conclusion is defeasible. We can say that even though the evidence supports the conclusion overall, we are prepared, under the right circumstances, to change our minds in the light of new information. We know that the force of gravity, for instance, on the surface of the Earth is 9.8 meters/sec2. 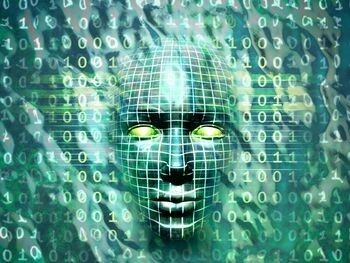 (The extreme proof/knowledge advocate must insist awkwardly and artificially, “No, we don’t really know that, we only have a massive amount of evidence and justification for it.”) A more natural way to proceed here is to say that we know, and have proven, many things beyond the deductively certain. But we are always ready to incorporate new evidence into our theories about what is true and change our minds if that becomes warranted. Third, people who press for the extreme proof/knowledge view are quite vulnerable to the Going Nuclear problem. Fourth, the extreme proof/knowledge view often fall into the Sliding Scale Fallacy. 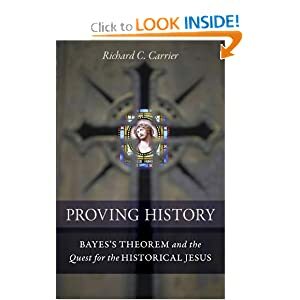 And fifthly, to make the extreme proof/knowledge advocate happy, we can easily make a distinction that is widely accepted and acknowledged in the sciences between inductive and deductive proof/justification. Sometimes we reject a claim because the concepts that it employs and the model of reality that is embedded in the concepts has become impoverished, bankrupt, useless, or inapt at describing reality. Consider three theories about a sick person who is exhibiting swollen lymph nodes, gangrene, fever, malaise, and seizures. He might be possessed by evil demons, he might have an imbalance in his four humors—black bile, yellow bile, phlegm, and blood—that could be rectified with leeches, or he might have a bacterial infection of yersenia pestis—Bubonic Plague. The Bubonic Plague theory along with modern virology in which it is embedded turns out to be far better at recognizing the ailment, treating it, curing it, preventing it, making predicitions, and so on. If we successfully cure the patient by means of virology and the Bubonic Plague hypothesis, it’s not so much that we have disproven the evil demon possession claim in any deductive or logical sense. It’s still logically possible that there could be evil demons disguised at the yersenia pestis bacteria in his blood. But holding onto the evil demon claim and the baggage that comes with it just becomes increasingly useless, and extraneous in our model of reality. At some point we leave some ideas behind because they just don’t fit with the rest of what we know about reality. It strikes me as natural and sensible to say that we know that those symptoms are caused by yersenia pestis now. We have proven that the illness is caused by the bacteria, and not by evil demons. Let’s call this sort of case Theoretical Disproof. So on this way of carving things up, we have at least fours kinds of disproof: Inductive Disproof, Single Property Deductive Disproof, Multiple Property Deductive Disproof, and Theoretical Disproof. There are others, and there are different ways of mapping out the epistemological landscape. But this will suffice for now. As I see it, the God hypothesis, where God is described in the ways that the vast majority of modern believers describe him, fails because of arguments of all four types. 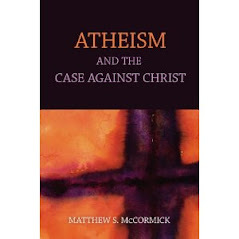 More details about can be found in the over 300 posts on this blog written over the years, in my recent book Atheism and the Case Against Christ, and in the book I’m now working on Atheism: Proving the Negative. There are some other accounts of God that escape those four varieties of Atheological Disproof, but those, as far as I can tell, just end up being vaccuous, trivial, or unmotivated—God is love, God is the development of human self-awareness, God is energy, God is reality. So the challenge for the theist, as I see it, is to first come up with a description of God that is internally, logicall coherent. It must attribute properties to God that are individually coherent, and that are logically consistent with each other. And this description must navigate around the broad set of Deductive Atheological arguments that have undermined the God concept. Furthermore, the description needs to it needs to be sufficiently superlative to warrant the "God" label," and, one would hope, it would have some semblance to the supernatural being that billions of traditional believers have advocated for centuries. Then the theist reconcile the claim that this being is real with the a posteriori facts as we know them—the theist must deal with the Inductive Disproofs for God. The theist needs to address the problem of evil, the problem of divine hiddenness, and a host of other serious inductive challenges that have come up over the centuries. But even all of that wouldn’t be sufficient to justify theism, as I see it. We could construct some account of evil demons that is internally logically consistent. And we could add enough provisos, tweaks, and emendations to the story to accommodate all of the details of modern virology. Evil demons are clever and sinister, you see, and part of their malevolent deception of us is that they are disguising their activities to look like bacterial infections, cancer, and so on. How do you know, afterall, that viruses and bacterial infection aren’t just the way that evil demons do us harm? Like evil demonology, theology has been rendered superfluous and vacuous by the rest of what we have learned about biology, geology, history, psychology, anthropology, astronomy, and cosmology. The theist, as I see it, has to do more than sketch out some scheme whereby it might be possible that God employed evolution to create us, for example. The theist needs to give us some substantial positive evidence for thinking that it is true. Possible, as I have argued many times, it not probable or reasonable or justified.